Our team provides kitesurfing lessons for all levels, from beginners to advance riders. Our multilingual, passionate instructors are all IKO certified and they excel in their job. Where ever is the wind , you will also find us there. Usually the lessons are one to one or on high season one on two or three. ,with auto relaunch features which also makes them very stable. Your instructor will take you with ease through the complexities of kitesurfing with the safest and the faster way possible . 12 years kitesurfing, IKO level 2. Very motivated, speaks Greek , English and Russian. Antonis has been traveling for many years surfing the best waves in the Indian & Atlantic Ocean which offers him the best of experience in waves. 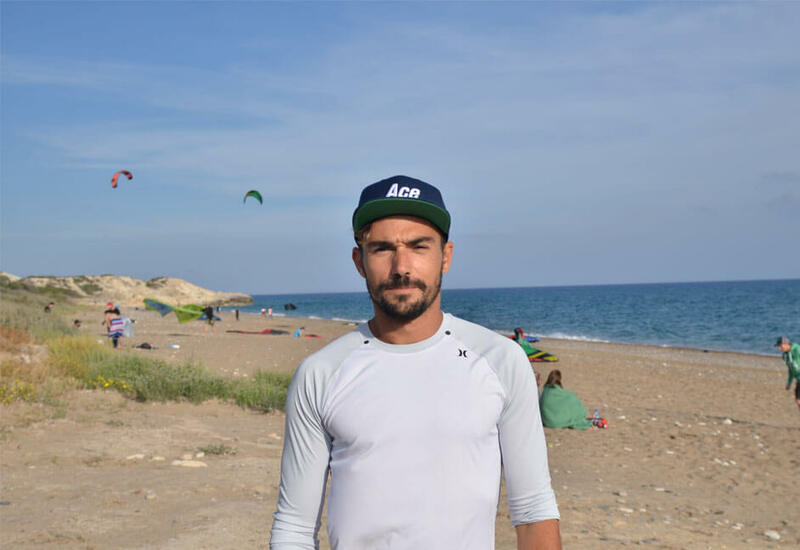 He is currently holding the King of Kite title for 4 consecutive years in Cyprus and also the 2014 King of Kite title in North Cyprus. He is in charge of teaching all levels of freestyle and wave riding. 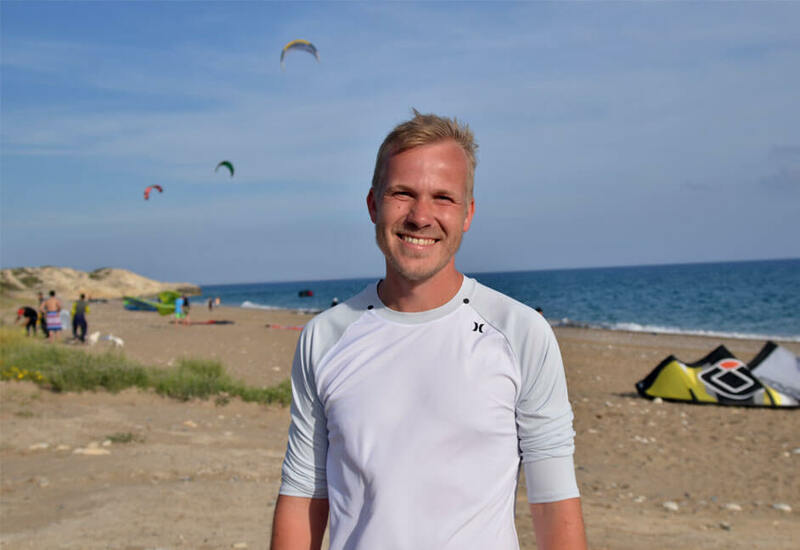 With his positivity he will take you with a smile through the challenging environment of kitesurfing . 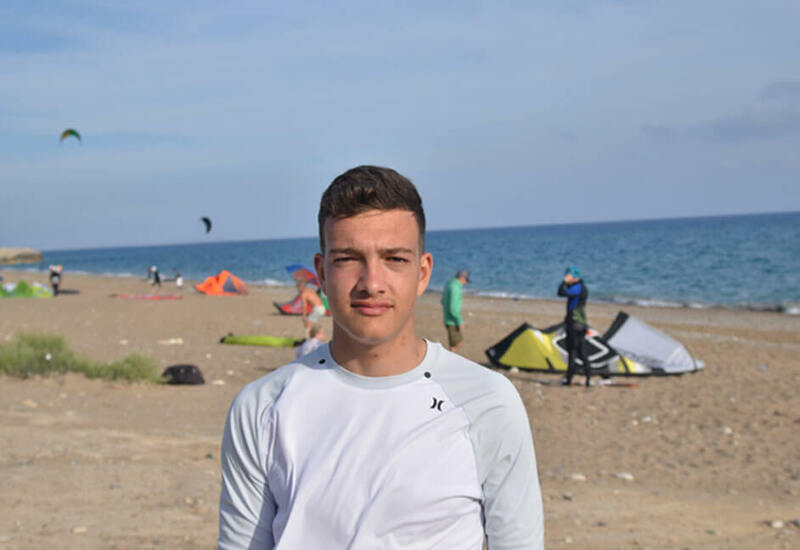 the youngest of the crew is currently studying Sports Science in Nicosia and he is with us every summer for more action. IKO certified and along with his mediterranean approach he completes this amazing team. Kleanthis has been kitesurfing since he was 14 years old .One of his best qualities is his patience and kindness. Born and raise by the sea in Akrotiri he is definitely made for this. Certified Lifeguard and surfer he is definitely born for this.